Custom e-Tuning by Openflash Performance - Openflash Performance Inc. While our free off-the-shelf (OTS) tuning files provide excellent performance and drivability, custom e-tuning is a great option for those demanding maximum performance and tuning optimization. Simply follow the step-by-step instructions provided to you by our tuning staff to achieve the desired results! 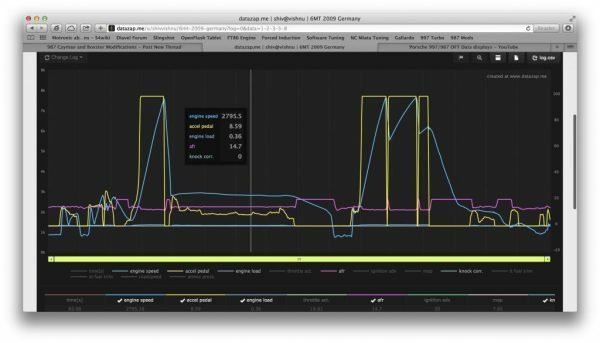 As an custom e-tuning customer, your contributions will involve data logging your vehicle during a test, saving the log to your PC (from your tablet), and then request a map update via our scheduler. Our tuning staff will review your datalog, revise your custom tune and send you a new program to load onto your ECU and datalog again. This process will be repeated until the tune is optimized for power and safety. This careful process can takes several days to weeks to finalize depending on your vehicles configuration. I purchased the HKS 12001-KT003A for my 2017 Toyota 86 (If you have newer than 2016 1/2, DON’T make my mistake! Purchase the 12001-KT003 and save your money on the programmer cost! >_< I was the "test subject" on the tune for this Supercharger setup. Your tune should be much quicker than mine, since the hard work has already been done!) I had a few time-related issues during the busy Summer months, but was worth it in the end! My tablet with the OB2 Bluetooth Interface can no longer read the HP and Torque settings properly, as exceeding the G sensors capability… (Reading in excess of 400 HP, but suspect North of 300 HP! The 2016 1/2 and earlier, with the programmer was only set up to a max of 275 HP and 230 lb/ft and 8 psi on 93 octane. I tested on 91 Octane (The generic Canadian "high" octane) to confirm would run on what I might be only able to get in certain towns. Was up to just South of 300 HP and 240 lb/ft and 9.43psi while my tablet could still reliably read the HP and torque. Am currently running 94 octane from Chevron, and noticed an significant increase in power through the entire range! I will now have to source out a local Dyno to find out the REAL results! This car is SCARY fast now!